Botox® Cosmetic is the brand name for the medicine botulinum toxin, which has been used for different medical conditions in the past. The FDA has also approved the use of this medicine for temporary reduction of facial wrinkles produced by hyperactive facial muscles. The purpose of Botox® Cosmetic is to reduce or eliminate the deep, persistent lines that are between your brows, forehead, or the corners of the eyes. These lines are produced by the activity of the facial muscles. Botulinum toxin temporarily weakens or paralyzes these muscles. Although other areas of the face have been injected with Botox® Cosmetic, the areas mentioned above are the most common. Botox® Cosmetic treatments are simple, non-surgical procedures that can smooth the deep lines and make you look younger, healthier, and more rested. The Botox® Cosmetic procedure is done by injection of the toxin directly into the muscle that is causing the facial line. The toxin is first diluted with saline. The area to be injected can be anesthetized so that you do not feel the sting of the Botox® Cosmetic injection. Usually 1-2 cc is enough to produce the desired effect. After the injection, the area may remain numb as a result of the local anesthetic for 1-2 hours. Occasionally, there may be a small amount of bruising at the injection site. This may be due to a small blood vessel being injured during the injection. The swelling from the injection will be completely gone in less than a day. Within 2-3 days, you will start to see the beneficial effects of this medicine. The facial lines will become softer and less conspicuous. You do not have to take off from work for this procedure, and shortly after, you can resume all your usual activities. Botox® Cosmetic is the brand name for the medicine botulinum toxin, which, in the past, has been used for separate medical conditions. Now the FDA has approved the use of this medicine for the temporary reduction of facial wrinkles produced by hyperactive facial muscles. 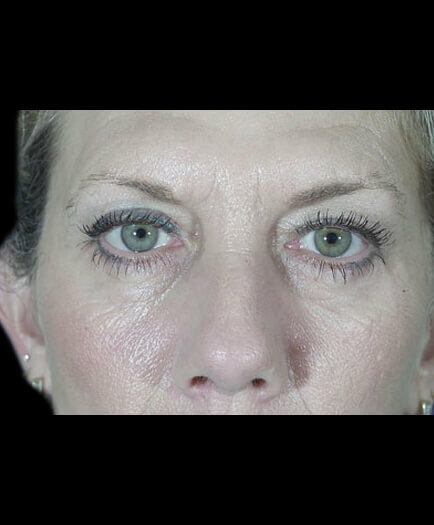 What does Botox® Cosmetic accomplish? Botox® Cosmetic helps to reduce or eliminate the deep, persistent lines found between your eyebrows, across your forehead, or near the corners of the eyes. These lines are produced by activity in the facial muscles. Botulinum toxin temporarily weakens or paralyzes these muscles. Although other areas of the face may be injected with Botox® Cosmetic, those mentioned above are the most common. What happens during the first Botox® Cosmetic consultation in Virginia? In the first consultation about a Botox® Cosmetic treatment, you will have a chance to discuss your concerns with our patient care coordinators and Dr. Marefat in our Virginia offices. We will explain what you need to know about your procedure and help to determine what is best for you. You will receive information booklets, review before and after photographs, and receive pricing on the procedure. How is Botox® Cosmetic used? The toxin is first diluted with saline. 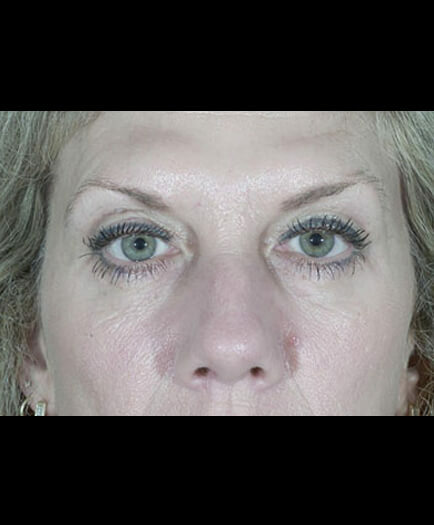 The diluted toxin is then injected directly into the facial muscles causing lines. The area to be injected can be anesthetized to eliminate the sting from the Botox® Cosmetic injection. Usually, 1-2 cc is enough to produce the desired effect. What can I expect after my Botox® Cosmetic injections? After injection, the area may remain numb for 1-2 hours, a result of the local anesthetic. Occasionally, there may be a small amount of bruising at the injection site. This may be due to small blood vessels (capillaries) being injured during injection. The swelling will fade completely in less than a day. Within 2-3 days, you will begin to see the injection’s beneficial effects. The lines of the face will become softer and less conspicuous. How long do the results of Botox® Cosmetic last? Usually, the results will last 3-4 months. On rare occasions, the results may last less than 3 months or more than 4 months. However, such cases are exceptions and are not the rule. When are the Botox® Cosmetic sutures removed? There are no sutures with Botox® Cosmetic injections. How many visits do I have after a Botox® Cosmetic procedure in Virginia? We like to see patients frequently after their procedures. You are seen by the doctor or nurse within 2 weeks of injection. Then, the normal routine is 3 months after injection. Of course, if there is a need, you may be seen as many times as necessary. We encourage our patients to come for follow-up Botox® Cosmetic injections every 3-4 months. When can I cover my Botox® Cosmetic bruises with makeup? You should be able to put makeup on your bruises immediately. Bruising is less likely to occur if you refrain from taking medications that contain aspirin for 2 weeks prior to receiving injections. Am I a good candidate for Botox® Cosmetic? The ideal candidate for Botox® Cosmetic injections is a person who possesses significant frown lines or laugh lines when his or her face is not animated. There is no definite age category for Botox® Cosmetic injections. Most patients seeking this non-invasive treatment are over 30 years old. The ideal candidate for Virginia plastic surgery is a self-motivated patient who has realistic expectations concerning the results. Generally, the younger you are, the better a candidate you are for treatment. A person’s physiological age is more important than his or her chronological age. That is to say, you may be 60 years old, but your skin and general health may be better than that of most 50 year olds. Why do prices for Botox® Cosmetic injections vary widely from one place to another? It seems as though there exists a wide range of prices for identical Botox® Cosmetic treatments. The toxin must be diluted in a saline solution, and pricing will vary according to the ratio of dilution the medicine undergoes. A single injection may not contain the same units of botulinum toxin as another. For this reason, a certain facility may be able to distribute the cost of medicine to a greater number of patients and thus be able to sell treatments at a “cheaper” price. Dr. Marefat’s dilution of this medicine has been determined by the standard of care among the most knowledgeable and renowned plastic surgeons. How do I pay for Botox® Cosmetic injections in Virginia? You can pay for this non-invasive treatment by certified check, credit card, or cash. Payment for cosmetic surgery is expected prior to any procedure. If you are scheduled for treatment several weeks in advance, you may pay by personal check. Are there Botox® Cosmetic scars? As the injection is being given, there is minimal discomfort. Dr. Marefat usually numbs the area to be injected with local anesthetic so that you do not experience much pain. Will I be awake during the Botox® Cosmetic injections? Yes. There is no need for any sedation during this procedure. Where are Botox® Cosmetic injections performed in Virginia? Are medical photographs taken of Botox® Cosmetic Injections? Yes. Photographs are mandatory for all cosmetic and reconstructive cases. This is the only way for us to compare your status before the procedure to your results. Photographs in plastic surgery serve the same role that x-rays do in orthopedic surgery. How do I get started with Botox® Cosmetic in Virginia? Dr. Marefat and the staff at Metropolitan Plastic Surgery would be happy to help you set up a private consultation to discuss Botox® Cosmetic in Virginia. Schedule an appointment online or call one of our locations at 703-516-7600 (Arlington area) or at 703-560-9583 (Woodbridge). Are there financing options for Botox® Cosmetic in Virginia? Dr. Marefat offers a number of financial assistance programs and payment programs to cover the cost of Botox® Cosmetic in Virginia. Please visit the patient financing section of our website for more details or ask the staff at Metropolitan Plastic Surgery about these options so that you can get started with Botox® Cosmetic in Virginia today.